This season, a hot drink gets even hotter. Whiskey, hot water, honey, lemon. 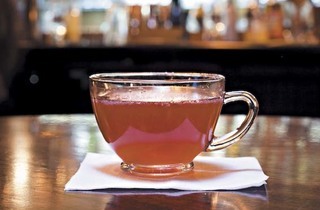 Such is the simplicity of the hot toddy, that traditional winter cocktail whose origins are as fiercely debated as the Manhattan. Right now, toddies are being toyed with and touted by bartenders all over the city who swear theirs is the hottest—at least figuratively speaking. Think about it: Why settle for watered-down rye and a tired squeeze of lemon when you can savor a toddy rooted in Buffalo Trace bourbon and Amaro Nonino, named in honor of the Abonimable Snowman? That would be the Yeti Holiday Warmer ($10) at the Barrelhouse Flat (2624 N Lincoln Ave, 773-857-0421). Even more fantastical is the Green Demon toddy ($13) at Sable Kitchen & Bar (505 N State St, 312-755-9704), where head bartender Mike Ryan eschews bourbon for Green Chartreuse and finishes with a few dashes of orange bitters. 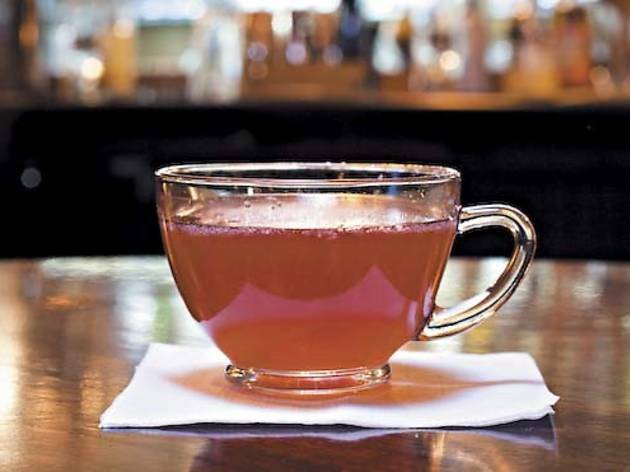 Things get all political at Owen & Engine (2700 N Western Ave, 773-235-2930), whose Red Dragon toddy ($10), named for a ship in the East India Company fleet, incorporates ingredients representing colonial slices of the British empire. The drink starts with Indian Old Monk dark rum (“one of the oldest produced in the world,” says bartender John Von Tolley) and incorporates lemongrass, green tea and Hum (which boasts a potpourri of spices tracing back to the East Indies). Ideally, Von Tolley says, a toddy should incorporate tons of spice, but “at the end of the day, it should be almost restorative. Whether it actually does it or not, it’s a symbol of comfort and warmth.” Just like a yeti.